Filed under Appetizers, Budget Meals, Main Meals, Recipes, Vegetarian. You can follow any responses to this entry through the RSS 2.0 feed. You can leave a response, or trackback from your own site. This is great simple meal. Healthy too. Your photos looks fabulous! Wow it looks so great 🙂 really easy as well. Im home by myself tonight so might whip this up for a quick and healthy dinner. Thanks Anita! 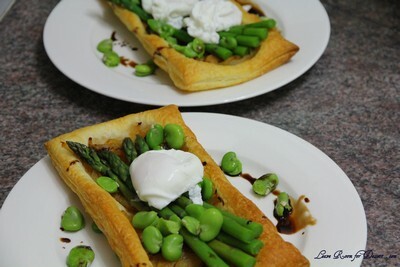 I’m also into broad beans and asparagus at the moment, and don’t they go well with the poached egg? Good on you for shelling the beans; I’m lazy and use frozen! 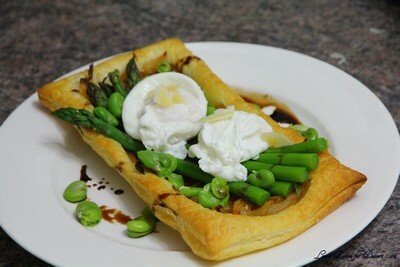 A beautiful way to take advantage of our fresh produce. What a tasty and healthy breakfast. Let me know if you discover the secret of great poached eggs, mine are terrible! I can understand eating the broad beans before they get to the table. I grew them one year, and they rarely made it all the way to the kitchen! 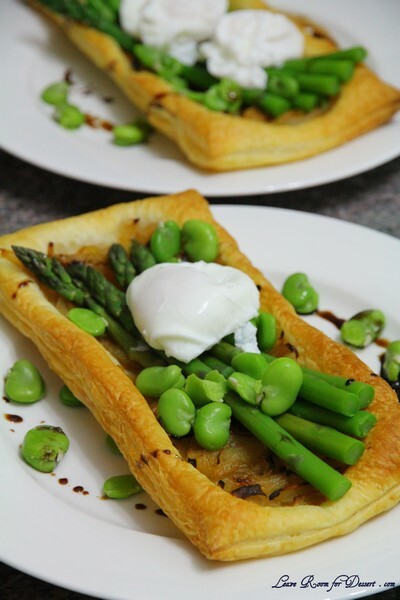 Your tarts look like a taste of spring. 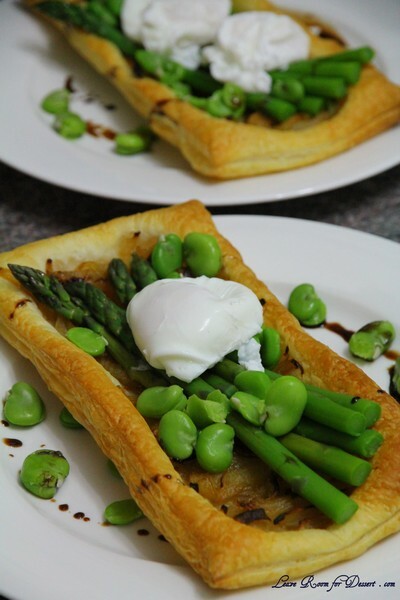 I love all the uses for puff pastry, Anita! This is such a pretty tart…for brunch, lunch or even dinner!